Healthy cheese may sound like an oxymoron, but it has some health benefits that might surprise you. Cheese is filled with healthy nutrients, many of which you may not get enough of, such as calcium, protein and vitamin B-12. But this isn’t a license to go crazy. The Academy of Nutrition and Dietetics suggests keeping a serving of cheese to 1.5 ounces, which is the size of four dice. 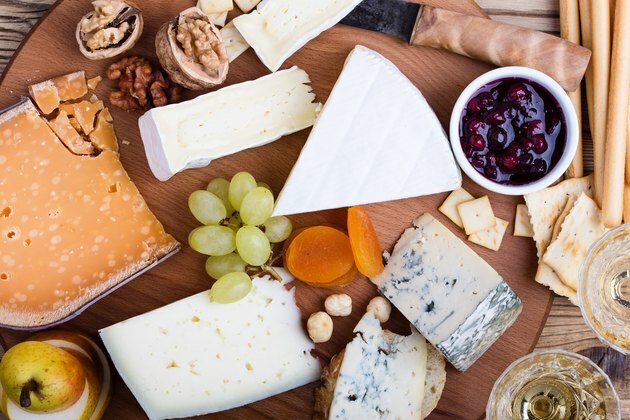 Most people don’t need a reason to eat more cheese, but if you keep your serving sizes in check and choose a quality cheese, your health may benefit. 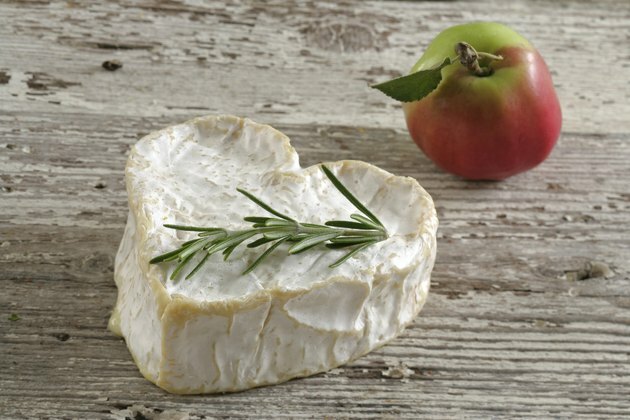 Here are the 10 healthiest cheeses to choose from. 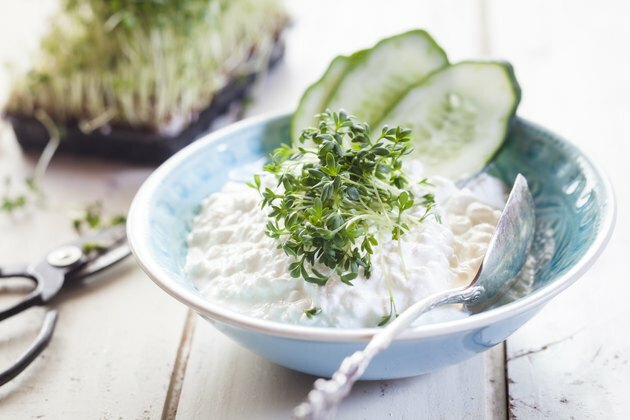 Although it may not be the first one that comes to mind when you think about healthy cheese, cottage cheese tops the list. It’s recommended by many health professionals because of its high protein content. Half a cup of low-fat cottage cheese contains 14 grams of protein. And a 2016 article published in Nutrients indicates cottage cheese has the highest casein-to-whey ratio of any cheese. (Casein and whey are the two proteins found in dairy products.) Cottage cheese can be enjoyed alone, with fruit or used in savory dishes like lasagna. 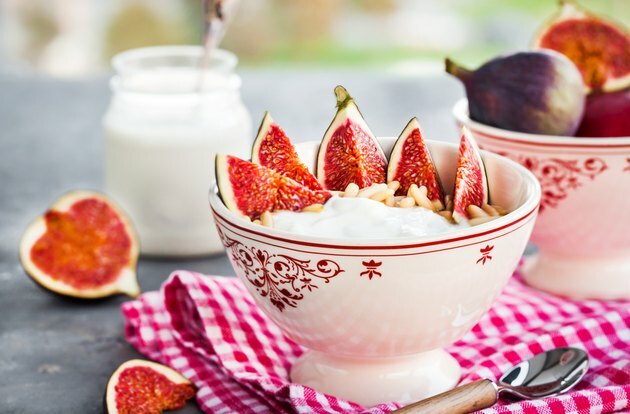 Quark may be something you’ve recently seen in the yogurt aisle, but it’s actually a soft fermented cheese that’s common in European countries. It’s also known for its high protein and low lactose content. Quark is usually sold in six-ounce containers and has 17 grams of protein and 20 percent of your daily recommended amount of calcium. The U.S. National Library of Medicine recommends quark as a low-lactose option for those with lactose intolerance. You can substitute quark for sour cream for a higher-protein alternative or serve it with fresh fruit. 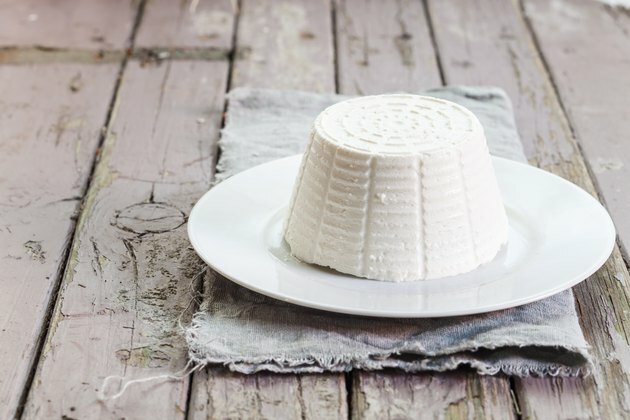 Ricotta cheese is a traditionally Italian cheese that’s sometimes called “whey cheese” because it’s made of whey left over from the cheese-making process. It can be used in baking, as a spread on a baguette or served with fruit and honey. Also popular in traditional Italian dishes like manicotti and lasagna, ricotta has one of the lowest sodium contents of any cheese. The University of California San Francisco lists ricotta as a good lower-sodium choice for a cheese. The U.S. Department of Agriculture lists part-skim ricotta cheese as containing approximately 60 milligrams of sodium per quarter-cup. In comparison, one mozzarella string cheese packs 210 milligrams of sodium. The next time you’re choosing cheese for a sandwich, do your gut a favor and grab a slice of Swiss. Swiss cheese is one of the most popular fermented cheeses and has an unmistakeable appearance. 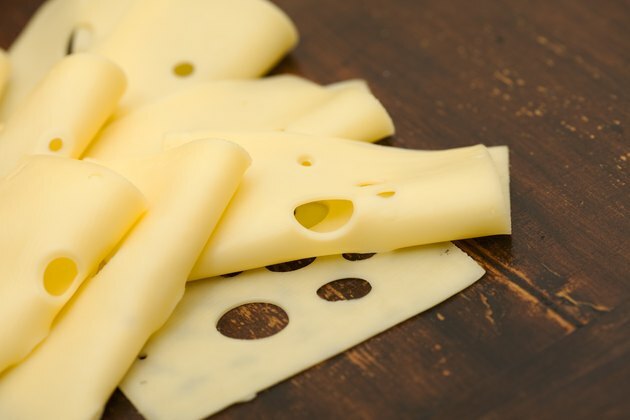 The fermentation process produces carbon dioxide, which causes the holes to form in Swiss cheese, according to 2015 research published in BioMed Research International. Fermented cheeses like Swiss contain probiotic bacteria that are beneficial to our health. A 2016 article published in Scientific Reports indicates the bacteria in Swiss cheese may be helpful in reducing inflammation in the body. Mozzarella cheese comes in many forms, including fresh, shredded and part skim. Known for its high calcium content, mozzarella contains 333 milligrams of calcium in a single 1.5-ounce serving, according to the National Institutes of Health. And calcium is important in the building and maintenance of strong bones. The daily recommended amount of calcium is 1,000 milligrams for adults over 18 and 1,300 milligrams for children. 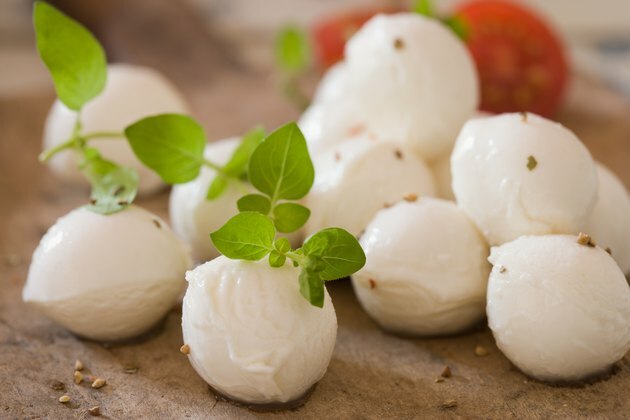 One serving of mozzarella cheese will give you 33 percent of your daily value of calcium. Mozzarella cheese is an obvious choice on a pizza, but try adding it to your pasta dishes or alongside fresh fruits and veggies for a daytime snack. If you love a good Greek salad, chances are you love feta cheese. 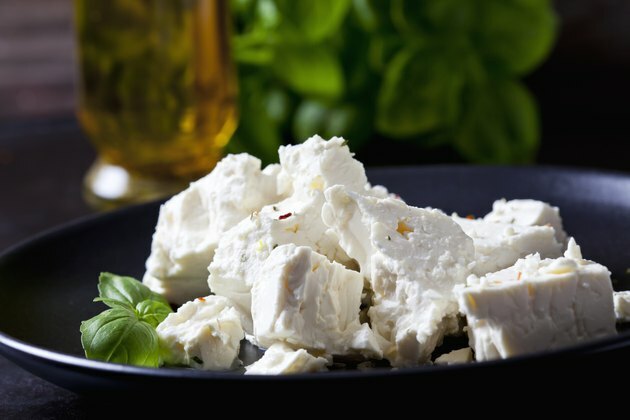 And because feta is considered a low-lactose cheese, if you’re lactose intolerant, feta may be one to try. In fact, the University of Wisconsin Health recommends feta as a lower-lactose alternative to fresh or soft cheeses. Feta is also a great choice if you’re looking for a cheese that’s lower in fat. A 2016 article published in Food and Nutrition Research indicates that a high consumption of cheese, particularly lower-fat cheeses, reduces the risk of stroke and coronary heart disease. Keep servings sizes appropriate and add some feta to your next salad. 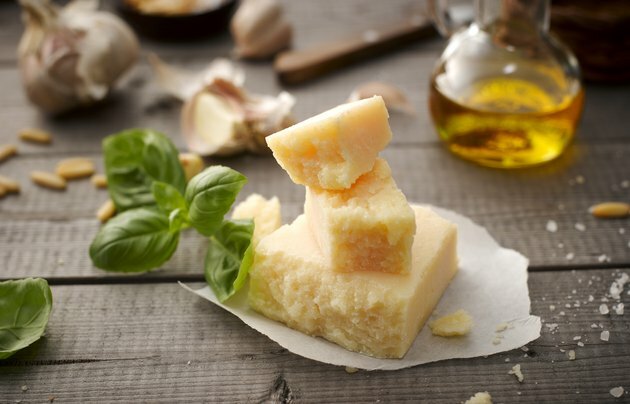 Parmigiano-Reggiano, often referred to as just Parmesan, is a treasure trove of nutrients. An extensive 2017 review article published in Food Technology and Biotechnology called Parmigiano-Reggiano a functional food — one that promotes health and may reduce the risk of chronic disease. That’s largely due to the compounds in the cheese that may reduce blood pressure. In addition, Parmesan is also high in calcium. Eating foods high in calcium is essential for preventing osteoporosis. You can shred it, shave it or slice it and toss on top of your favorite pasta dishes, stir into a risotto or add to a cheese platter with crackers and fruit. Cheddar cheese is widely available in the United States under a variety of flavors and colors. And if you’re lactose intolerant, cheddar may be one type of cheese you can tolerate, according to The Cleveland Clinic, because it only contains between zero and two grams of lactose per serving. Cheddar is considered an aged cheese, and as a cheese ages, it naturally contains less lactose. Cheddar also contains a good amount of calcium — 307 milligrams per serving, or 31 percent of your daily value, according to the National Institutes of Health. 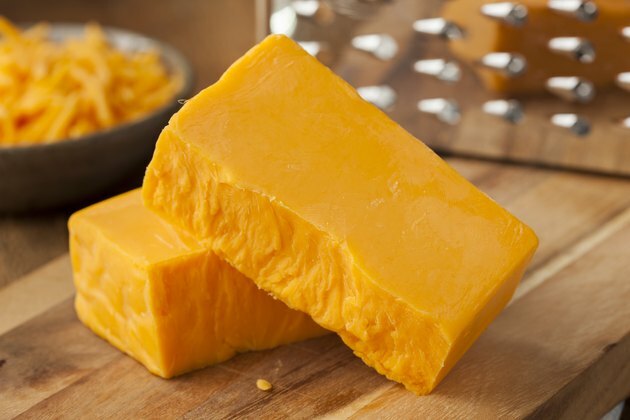 Cheddar cheese is a versatile cheese that can be added to your next sandwich, taco or baked potato. If you notice a type of cheese with a funny name next to the cream cheese, that just might be Neufchatel. But it’s not a cream cheese in disguise; it’s a soft cheese with origins in France. With a taste and texture similar to cream cheese, it’s listed as a lower-calorie substitute by the National Heart, Lung, and Blood Institute. In fact, the Neufchatel cheese you find near the cream cheese will have 20 percent fewer calories and 30 percent less fat. 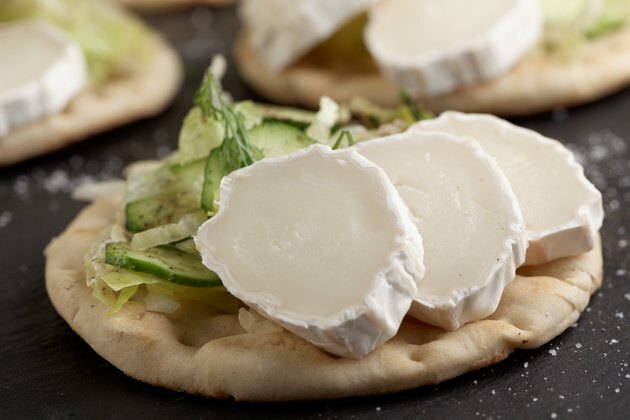 Try substituting Neufchatel cheese for cream cheese in dips, sauces and spreads. As the name implies, goat cheese, or chevre, is made from goat milk and is a tangy cheese that’s gained popularity due to its versatility in cooking. It’s delicious as a simple spread, or you can use it as an ingredient in stuffed chicken breasts or a healthy salad. Goat cheese is often thought of as a healthier cheese because it has a slightly lower caloric content than cheese made from cow milk. But it may also offer other benefits. According to 2017 research published in Nutrients, researchers found that those who ate a breakfast of goat milk and cheese versus cow milk and cheese were more satisfied after eating. This was attributed in part to the higher amounts of medium-chain fatty acids it contains, which may help you eat less at a meal. Do you love cheese? What is your favorite kind? Did it make the list? Which of these cheeses are your favorites? Were there any you hadn’t heard of before? Are there any you think you’ll try now? Share your thoughts, suggestions and questions in the comments below! Academy of Nutrition and Dietetics: Serving Size vs Portion Size: Is There a Difference?